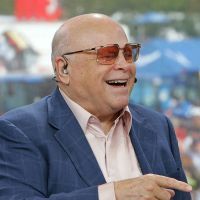 O. Bruton Smith, 92, the Company’s founder and majority stockholder, has been the Executive Chairman since February 2015, and has been Chairman of the Board of SMI since its organization in 1994. Prior to his appointment as Executive Chairman, Mr. Smith had been Chief Executive Officer since 1994. 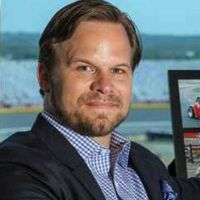 Mr. Smith has been Executive Chairman of Charlotte Motor Speedway, LLC, a wholly-owned subsidiary of SMI, and its predecessor entities ("CMS"), which he originally founded in 1959 since September 2015. Prior to his appointment, Mr. Smith has served as the Chief Executive Officer and a board member of CMS since 1975. Regarding the Company’s other subsidiaries, Mr. Smith, until September 2015, was the Chief Executive Officer of (i) Atlanta Motor Speedway, LLC (“AMS”) since its acquisition in 1990, (ii) Texas Motor Speedway, Inc. (“TMS”) since its formation in 1995,(iii) Bristol Motor Speedway, LLC (“BMS”) since its acquisition in 1996,(iv) Speedway Sonoma, LLC (“Sonoma Raceway”) since its acquisition in 1996,(v) Nevada Speedway, LLC d/b/a Las Vegas Motor Speedway (“LVMS”) since its acquisition in 1998,(vi) New Hampshire Motor Speedway, Inc. (“NHMS”) since its acquisition 2008 and (vii) Kentucky Raceway, LLC d/b/a Kentucky Speedway (“KyS”) since its acquisition in 2008. 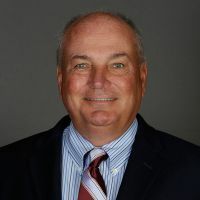 Mr Smith has been Executive Chairman of AMS,TMS,BMS,Sonoma Raceway, LVMS,NHMS,and KyS since September 2015.In addition, Mr. Smith serves as the Executive Chairman and as a director, or in a similar capacity, for many of SMI’s other subsidiaries. Mr. Smith was the founder of Sonic Automotive, Inc. ("SAI"), and also serves as the Executive Chairman and as a director of SAI. Mr. Smith also owns and operates Sonic Financial, a private business which owns a majority of the Common Stock, among other activities. Mr. Smith is the father of Mr. Marcus G. Smith and Mr. B. Scott Smith. Mr. Smith has been in the motorsports business since the sport’s beginnings in the 1940s and has been a leader in motorsports innovation throughout its history. In January 2016, Mr. Smith was inducted into the NASCAR Hall of Fame. Marcus G. Smith, 45, became a director of SMI in 2004 and was appointed Chief Executive Officer in 2015. Mr. Smith continues to serve as President of SMI, a position he has held since May 2008. Mr. Smith previously served as Chief Operating Officer from May 2008 to February 2015. Prior to that appointment, Mr. Smith served as Executive Vice President of National Sales and Marketing for SMI since 2004. Mr. Smith was also appointed President and General Manager of CMS in May 2008. Mr. Smith joined the Company in 1996 as a sales associate at CMS and was named Manager of New Business Development in 1999. In September 2015, Mr. Smith was appointed to serve as Chief Executive Officer of AMS, BMS, KyS, LVMS, NHMS, Sonoma Raceway and TMS. Prior to that appointment, Mr. Smith served as the Chief Operating Officer, or in a similar capacity since 2008. Mr. Smith is the son of Mr. O. Bruton Smith and brother of Mr. B. Scott Smith. Mr. Smith grew up in the motorsports business, and successfully led one of the Company’s most important drivers of revenue, corporate sales and marketing. William R. Brooks, 69, has been Vice President, Treasurer, Chief Financial Officer and a director of SMI since its organization in 1994. In February 2004, Mr. Brooks became an Executive Vice President of SMI, and in May 2008 was promoted to Vice Chairman. Mr. Brooks joined Sonic Financial from PricewaterhouseCoopers LLP ("PwC") in 1983, currently is an officer of Sonic Financial, has served as Vice President of CMS since before the organization of SMI, and has been Vice President and a director of AMS since its acquisition and TMS since its formation. He has served as Vice President of BMS, LVMS, Sonoma Raceway, KyS and NHMS since their acquisitions. In addition, Mr. Brooks serves as an officer and a director, or in a similar capacity, for many of SMI’s other subsidiaries. Mr. Brooks also has served as a director of SAI since its formation in 1997. Mr. Brooks has been involved in the motorsports business since 1979 when he served on the PwC team that audited CMS. Mr. Brooks was the Company’s Chief Financial Officer when it went public in 1995. Scott Smith, 51, is Co-Founder of Sonic Automotive, Inc. (“SAI”) and has over 28 years of experience in the automobile dealership industry. He served as the Chief Executive Officer, President and a director of SAI between July 2015 and September 2018. Prior to his appointment as Chief Executive Officer of SAI in July 2015, he served as President and Chief Strategic Officer of SAI since March 2007. 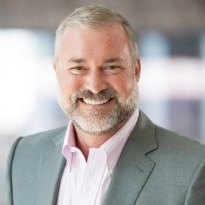 Prior to that, Mr. Scott Smith served as SAI’s Vice Chairman and Chief Strategic Officer from October 2002 to March 2007 and President and Chief Operating Officer from April 1997 to October 2002. He also served as a director of SAI from January 1997 until September 2018. Mr. Scott Smith, is the son of Mr. O. Bruton Smith, and the brother of Mr. Marcus G. Smith. Bernard C. Byrd, Jr., 56, became a director of SMI in February 2015. Mr. Byrd is an entrepreneur with more than 25 years of experience in a variety of business ventures. 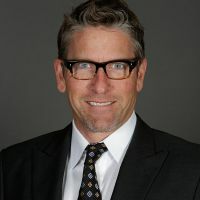 From 2005 to 2013, he served as the President and Chief Executive Officer of Secure EDI Health Group, a healthcare technology firm, and was a member of its board of directors from 2005 through 2015. From 1998 to 2006, Mr. Byrd founded and served as Chairman and Chief Executive Officer of HRAmerica, Inc., a human resources outsourcing firm. Mr. Byrd served on the board of directors of SAI from 2013 through January 2016, and is presently employed as a division vice president with SAI. Mark M. Gambill, 68, became a director of SMI in 1995. 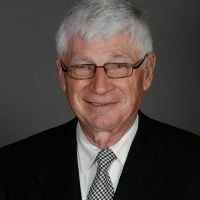 Mr. Gambill worked for Wheat First Securities from 1972, including serving as chairman of the underwriting committee, until it was sold to First Union Corporation in 1998. Mr. Gambill was President of Wheat First Butcher Singer at the time of sale. Mr. Gambill left First Union in 1999. Mr. Gambill was Chairman of Cary Street Partners, a financial advisory and wealth management firm, from 2002 through June 2017. In 2017, Mr. Gambill became Chairman Emeritus of Luxon Financial, a financial advisory and wealth management firm. Cary Street Partners is now a part of Luxon Financial. Mr. Gambill served as a member of the board of managers of Motorsports Authentics from its formation through 2010. Mr. Gambill also serves as a director of New Market Corporation. 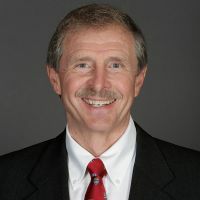 Previously, Mr. Gambill served as a director for the Noland Company until its sale in 2005, and as a director of Triangel Capital Corporation until its sale in 2018. James P. Holden, 67, became a director of SMI in 2004. Mr. Holden retired in 2000 after completing 27 distinguished years in the auto industry, including 19 years with DaimlerChrysler and its predecessor Chrysler Corp. (“Chrysler”). Highlights of his career include being named President of DaimlerChrysler in 1999 and Chief Executive Officer in June 2000. Mr. Holden served in various positions during his career at Chrysler, including Executive Vice President of Sales and Marketing responsible for directing all of the automaker’s sales, fleet and marketing organizations in the United States, Mexico and Canada, including Mopar parts operations. In addition, he serves as a director of SiriusXM Radio, Inc., Snap-on, Inc and Elio Motors, Inc. Mr. Holden was a director of Motors Liquidation Company until its dissolution in December 2011. Formerly, Mr. Holden served as a director for Meridian Automotive Systems, Inc.
Tom E. Smith, 77, became a director of SMI in 2001. 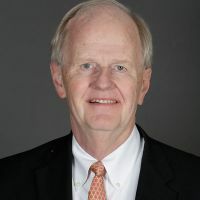 Mr. Smith retired from Food Lion Stores, Inc. (“Food Lion”) in 1999, after a distinguished 29-year career with that company, which included serving as Chief Executive Officer and President. Mr. Smith currently serves as a director of Farmers and Merchants Bank, and served as a director of CT Communications, Inc. from 1999 until its acquisition by Windstream Communications in 2007.